The purpose of the Illinois' workers' comp law is to provide prompt and necessary medical treatment and wage replacement for workers who are injured or killed from an accident arising out of and in the course of their employment. The law requires employers with one or more full or part-time employees to obtain workers’ compensation coverage. This coverage requirement applies to most persons, firms, public or private corporations, hospitals, public services, religious or charitable corporations, or associations who have any person in service or under contract for hire. A sole proprietor or partner or member of a limited liability company who elects not to provide and pay compensation for accidental injuries that are self-sustained. A household or residence where a domestic worker is employed for a total of less than 40 hours per week for a period of less than 13 weeks during a calendar year. A corporate officer, defined as a bona fide president, vice president, secretary, or treasurer of a corporation who voluntarily elects to individually withdraw from coverage. An agricultural enterprise, including aquaculture, employing less than 400 working days of agricultural or aquaculture labor per quarter during the preceding calendar year, exclusive of working hours of the employer’s spouse and other members of his or her immediate family residing with the employee. The employee must work for an employer whose business is covered by the law. The injury or illness must arise out of and in the course of the employment. Proper notice of the accident and injury must be given to the employer. Notice of accident must include the approximate date and place of the accident, if known. Notice may be given orally or in writing. In cases of temporary total or temporary partial disability, no compensation will be allowed for the first three days after disability. If the injured worker’s period of disability lasts for 14 or more days, compensation will be allowed for the first three days. Injuries caused by the employee’s being intoxicated due to alcohol or abuse of a controlled substance. Aggravated driving under the influence of alcohol, other drug(s), intoxicating compound(s), or any combination thereof. Accidental injuries incurred while an employee is participating as a patient in a drug- or alcohol-rehabilitation program do not arise out of and in the course of employment even though the employer pays some or all of the costs. Any injury to or disease or death of an employee arising from the administration of a vaccine, including without limitation smallpox vaccine, to prepare for, or as a response to, a threatened or potential bioterrorist incident to the employee as part of a voluntary inoculation program in connection with the person’s employment or in connection with any governmental program or recommendation for the inoculation of workers in the employee’s occupation, geographical area, or other category that includes the employee is deemed to arise out of and in the course of the employment. Accidental injuries incurred while participating in voluntary recreational programs, including but not limited to, athletic events, parties, and picnics do not arise out of and in the course of the employment even though the employer pays some or all of the cost thereof. This exception will not apply in the event that the injured employee was ordered or assigned by his employer to participate in the program. Begin payments of Temporary Total Disability (TTD). Give the employee a written explanation of the additional information the employer needs before it will begin payments. Give the employee a written explanation of why benefits are being denied. The employer is required to pay for all medical care that is reasonably necessary to cure or relieve the employee from the effects of the injury. This includes, but is not limited to, first aid, emergency care, doctor visits, hospital care, surgery, physical therapy, chiropractic treatment, pharmaceuticals, prosthetic devices, and prescribed medical appliances. The cost of devices, such as a shoe lift or a wheelchair, may be covered. If the work injuries result in a disability that requires physical modifications to the employee’s home, such as a wheelchair ramp, the employer may have to pay those costs as well. If the employer does not dispute a medical bill, it will pay the medical provider directly. The employee is not required to pay co-payments or deductibles. Generally, the employee may choose the provider where he or she seeks treatment. However, there may be some limitations both on the number of providers seen by the employee or on which particular providers that an employee may choose. The employee’s choice of provider will be limited to a selected network of providers if an employer has established a Preferred Provider Program (PPP). If an employer has established a PPP, it must inform the employee about the PPP in writing on a PPP Advisory Form available from the Illinois Workers’ Compensation Commission. If there is a PPP, the employee has a choice of two physicians from the network within the PPP. If an employer does not have a PPP, then the employee has a choice of any two providers. This does not include referrals from those two providers. First aid and emergency care are not considered to be one of the employee’s two choices. Nonemergency care obtained before the employee reports the injury to the employer does not count as one of the two choices. Prices for most medical care covered under the act are subject to a medical fee schedule. The employer pays the lesser of the provider’s actual charge or the amount set by the fee schedule. If, however, an employer or insurance carrier contracts with a provider for the purpose of providing services under the act, the rate negotiated in the contract will prevail. Refer to the resources on the commission’s website for schedules and further instructions. Vocational rehabilitation and maintenance benefits include, but are not limited to, counseling for job searches, supervising a job search program, and vocational retraining, including education at an accredited learning institution. If the employee cannot return to the pre-injury job, the employer must pay for treatment, instruction, and training necessary for the physical, mental, and vocational rehabilitation of the employee, including all maintenance costs and incidental expenses. The employee must cooperate in a reasonable rehabilitation program. The employee may choose the provider of such reasonable vocational rehabilitation services or may accept the services of a provider selected by the employer. While participating in an approved vocational rehabilitation program an employee is entitled to maintenance benefits, plus costs and expenses incidental to the vocational rehabilitation program. Such maintenance benefit will not be less than the employee’s Temporary Total Disability (TTD) rate. Temporary Total Disability (TTD) benefits are payments that an injured employee receives during the period in which the employee is either temporarily unable to return to any work, as indicated by his or her doctor, or is released to do light-duty work but whose employer is unable to accommodate him or her. The TTD benefit is 66 2/3 percent of the employee’s average weekly wage, subject to minimum and maximum limits. If the employee had more than one job at the time of the injury. If the employee worked less than 52 weeks. If the employee worked on a casual basis. The employer should make the first TTD payment within 14 days after receiving notice of the injury. The employer should pay TTD at the same interval the employee was paid before the injury (for example, weekly or biweekly). If an employer stops paying TTD before the employee returns to work, it must give the employee a written explanation no later than the date of the last TTD payment. If the employer fails to provide this explanation, the employee may petition the arbitrator to assess penalties and/or attorneys’ fees. Temporary Partial Disability (TPD) benefits are payments that may be received during the period in which an injured employee is still healing and is working light duty, on a part-time or full-time basis, and earning less than he or she would earn in the pre-injury employment. The employer pays TPD benefits to an injured employee until the employee has returned to his or her regular job or has reached maximum medical improvement. For injuries that occurred on or after June 28, 2011, the TPD benefit is 66 2/3 percent of the difference between the average amount the employee would be able to earn in the pre-injury job(s) and the gross amount he or she earns in the light-duty job. For example, an employee was earning $900/week at the time of injury. While the employee was off work and recuperating, the pay for the job increased to $925/week. The employee returns to a light-duty job and earns $500/week. The complete or partial loss of a part of the body. The complete or partial loss of use of a part of the body. Loss of use is not specifically defined in the law; however, it generally means the injured worker is unable to do things he or she was able to do before the injury. The commission cannot make a PPD determination until the employee has reached maximum medical improvement (MMI). Refer to the Handbook on Workers’ Compensation and Occupational Diseases for more information on the types of PPD benefits. An injured worker who is found to be permanently and totally disabled is entitled to a weekly benefit equal to 66 2/3 percent of his or her average weekly wage, subject to minimum and maximum limits, for life. If a case is decided by an arbitrator, an employee will be entitled to monthly cost-of-living adjustments. Beginning on the second July 15th after the award became final, the recipient will receive a cost-of-living payment from the commission’s Rate Adjustment Fund that reflects the increase in the statewide average weekly wage during the preceding year. In the event of the death of the injured employee, burial expenses will be paid up to $8,000, payable to the person paying for the burial. The benefit is 66 2/3 percent of the employee’s gross average weekly wage during the 52 weeks before the injury, subject to minimum and maximum limits. The primary beneficiaries of the survivors’ benefit are the spouse and children under the age of 18. If no primary beneficiaries exist, benefits may be paid to totally dependent parents. If no totally dependent parents exist, benefits may be paid to persons who were at least 50 percent dependent on the employee at the time of death. Employers must maintain accurate records of work-related deaths, injuries, or illnesses. This does not include minor injuries requiring only first aid and not involving further medical treatment, loss of consciousness, restriction of work or motion, or transfer to another job. Employers are required to report accidents to the commission on Form IC45, Employer’s First Report of Injury. Written reports of all job-related deaths must be made to the commission within two working days. Written reports of job-related injuries or illnesses resulting in the loss of more than three scheduled workdays must be made within one month. Employers are required to post the Workers’ Compensation notice developed by the commission in a conspicuous place at each respective place of employment. 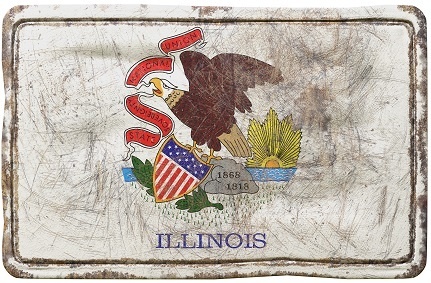 Illinois employers must make appropriate reports to the commission. 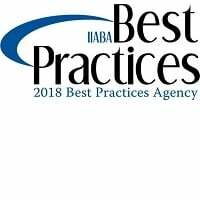 Illinois employers may find that it is a best practice to maintain records related to workers’ compensation for seven years, unless OSHA requirements indicate the need to keep the records for a longer period of time. The Illinois Workers’ Compensation Commission administers the judicial process that resolves disputed workers’ compensation claims between employees and employers. An employer that knowingly and willfully fails to obtain insurance may be fined up to $500 for every day of noncompliance, with a minimum fine of $10,000. Corporate officers can be held personally liable if the company fails to pay the penalty. Fines are deposited into the Injured Workers’ Benefit Fund. Additionally, corporate officers who are found to have negligently failed to obtain insurance are guilty of a Class A misdemeanor; if they are found to have knowingly failed to obtain insurance, they are guilty of a Class Four felony. An employer that knowingly fails to obtain insurance loses its protections under the Workers’ Compensation Act. An employee who is injured during the time the employer was uninsured may sue the employer in civil court, where benefits are unlimited. In addition, during the trial the burden will be upon the employer to prove it was not negligent. Generally, claims for compensation will be barred unless within three years from the date of the accident a claim is filed, or within two years of the last payment of TTD or a medical claim, whichever is later. It is advisable to consult an attorney in these matters as there may be different time limits for specific illness or death in certain circumstances. This blog post is not intended to be exhaustive nor should any discussions or opinions be construed as legal advice - it is intended for educational and/or informational purposes only.